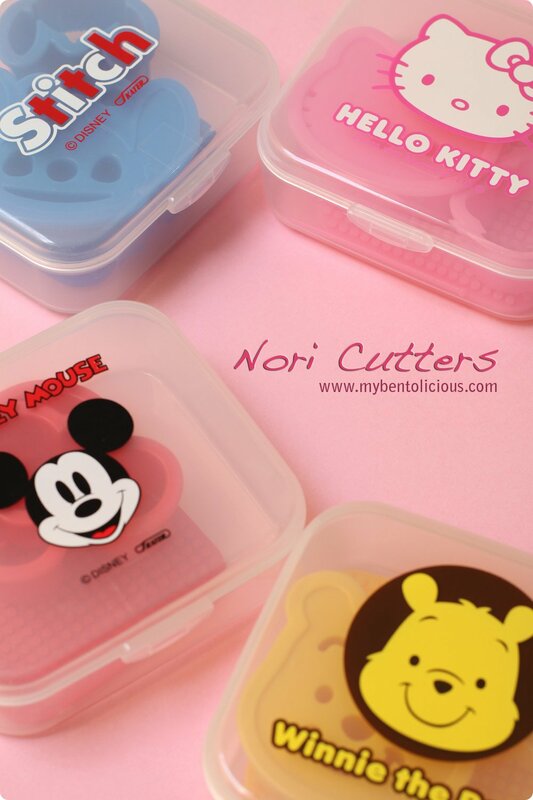 I have these nori cutters in my collections for quite sometimes. As you can see, I have 4 characters which are Hello Kitty, Stitch, Mickey Mouse, and Winnie The Pooh. 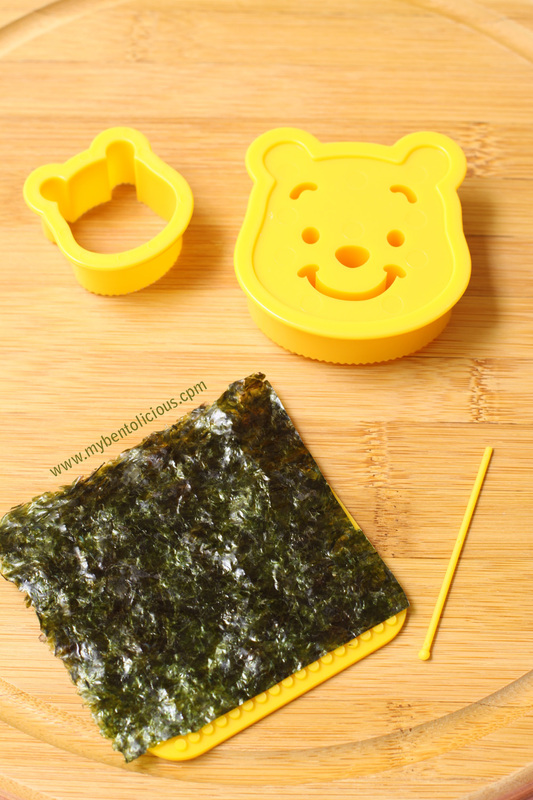 They come with a single box containing nori mat, big size cutter, small size cutter, and the stick to push the nori out of the big cutter. 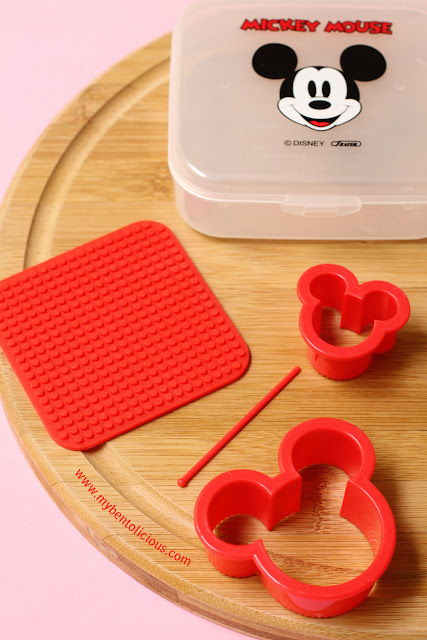 I would say that the small cutter is fun to use but the big one is not so good except for Mickey Mouse one. 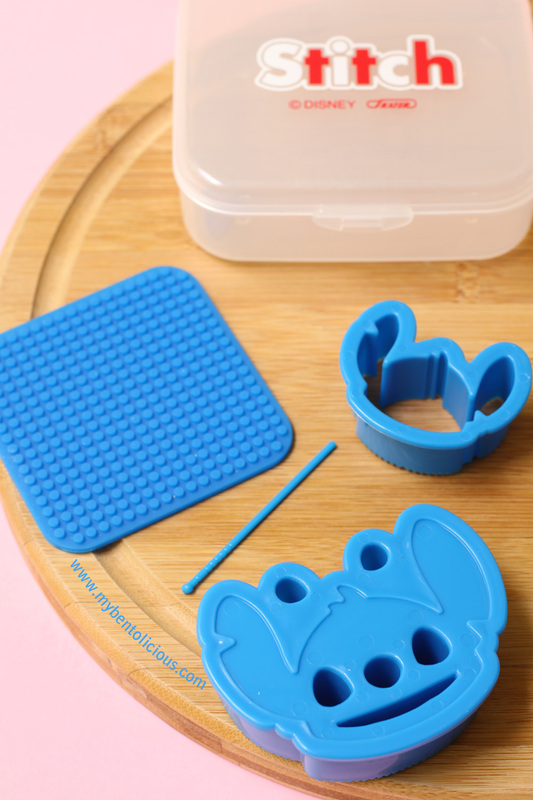 The big cutter is harder to use, harder to get a perfect shapes of the character, and the cut out is not very neat. I have tried in different ways but I'm still not happy with the results. I got info that the Pikachu one is out now. 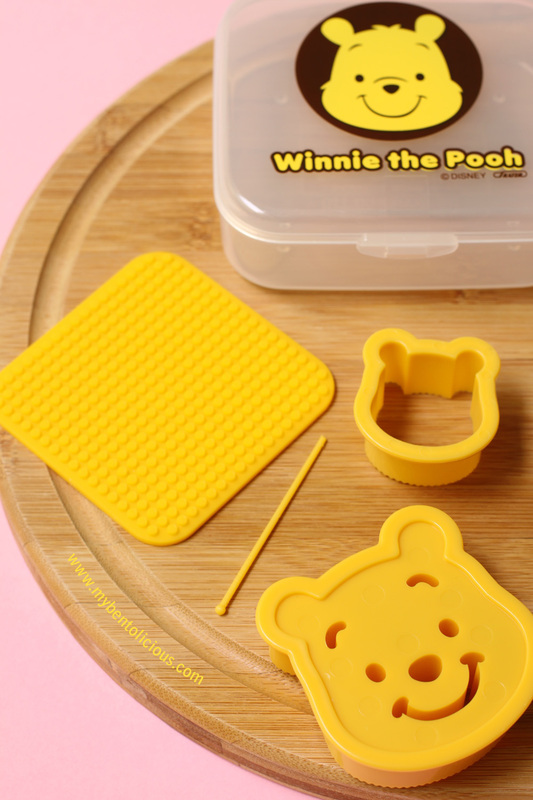 But I don't have plan to buy it for my bento stuffs collections. (1) Put the nori on the top of the nori mat. 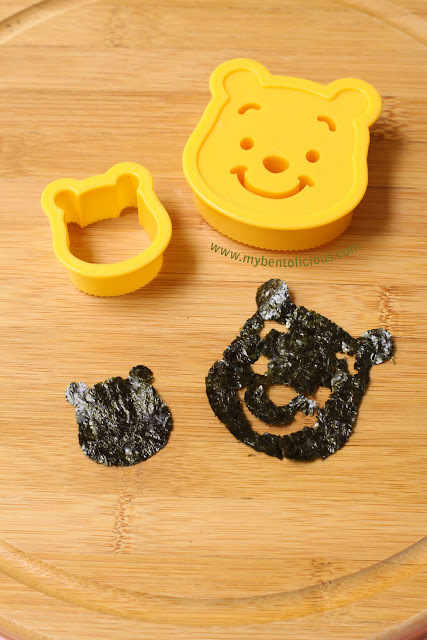 (2) Put the small / big cutters on the top of the nori, and press down to make a cut out. 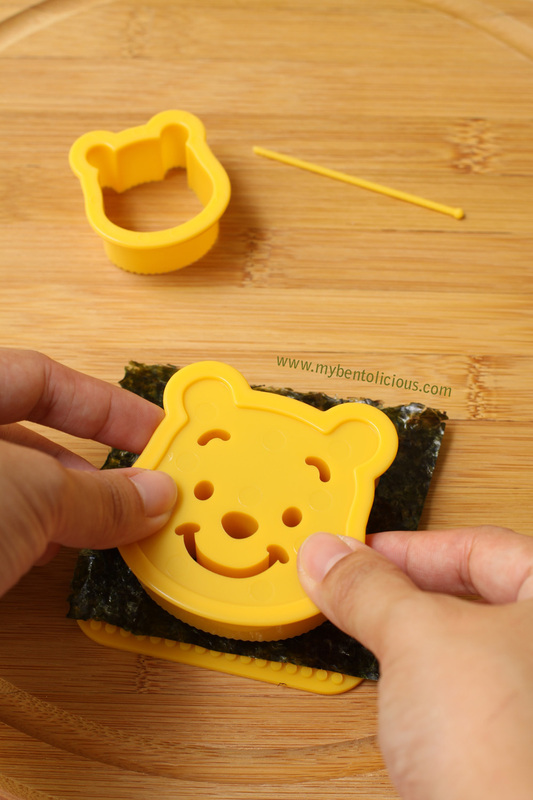 (3) Use the stick to push the nori out from the big cutter. (4) You get the nori cut out from the two cutters. On the scale of 1-10, I will rate these cutters on 5 only. 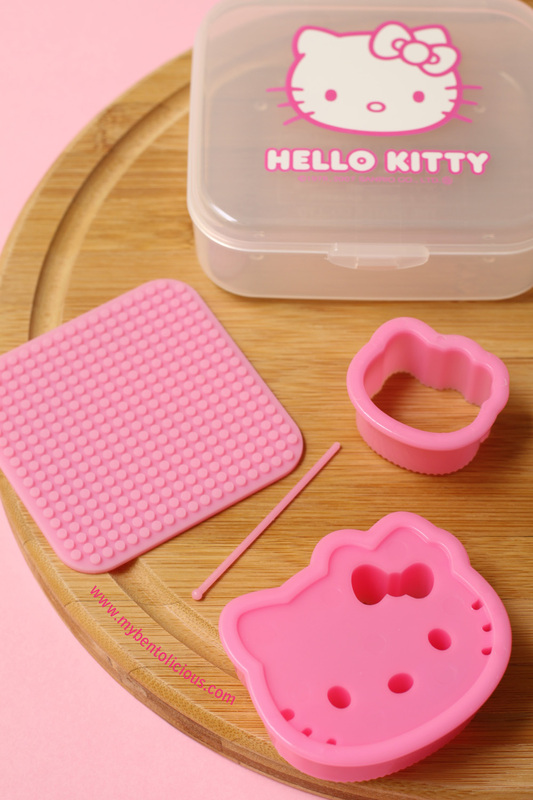 @Belle : I bought most of my bento stuffs from Japan, Taiwan and Hong Kong with a help of some friends living there. And some of them were from online store like Bento Craft, NST MY. Thanks Belle! @Susan Yuen : Thanks Susan! And..it's nice of u sharing the tips with us..